Bingo is a popular game of chance that can be played by almost everyone because it doesn’t need a lot of thinking, thus, it is purely based on luck. It’s also so simple and playable by the youngest or oldest player. Because of its popularity and the thrill, it gives to the players, bingo has since made its way to the limelight. In fact, back in the 1900s, because the play is easy and player-friendly, bingo was used by a Catholic priest to raise funds. That’s how feasible it was back in the days. Although bingo was considered gambling, and gambling was restricted in many states, they allow churches and non-profit groups to host bingo games to raise funds. 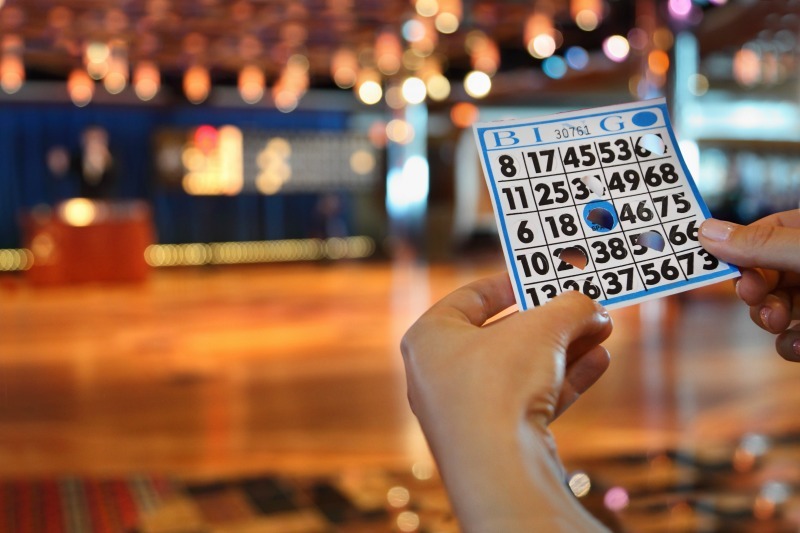 Since the birth of bingo, it has sprouted to big casinos and even to small gaming clubs. This game has also been used as a recreational activity in nursing homes and even in the neighborhood. Aside from an afternoon tea, bingo session is a great way to catch up with friends then. Unlike other card games that stir up pressure and hostility, bingo enables you to still interact with your co-players even during the game. Now that we have advanced with technology, games such as these are taken to a whole new level. The exciting game of bingo is now enrolled online! This is made readily available for anyone anytime, anywhere. However, age restrictions may apply to different websites who are hosting bingo games, of course. And what could be more exciting than the heaps of prizes that are up for grabs for the winners? To add more delight to the whole experience of the game online, each of the players can play and participate anywhere and any time of the day. Players may even meet new online buddies from all over the globe just by playing and interacting. And because the game and experience are both fun and addictive, people spend more hours playing from apps and websites without even realizing it. Online bingo has become a big business and it’s progressing especially because online players are growing in numbers since it was introduced online. Players, from different walks of life, join in for different reasons. Either they want to try their luck and win it for the money or just for their leisure. Whatever their reasons are, they have contributed a lot to the constant growth of this industry. The fame of this simple game won’t slow down anytime soon. In fact, it has already built its foundation and progressed at a great deal especially because of technology. People can now just download an application from their smartphones to play online bingo or use their personal computers to access new bingo websites. They can easily play, earn, and withdraw cash wins at the touch of their fingertips. Another fact about making bingo available online is, it attracts younger people to take part in the game and enjoy the experience. Originally, it was introduced to women before. But it has been opened to the public. Now, it appeals even to the younger generation of this digital age. Online bingo seems to be going in the right direction. Millions of users are accessing apps and websites to play the game. According to a website, most players are staying at home parents and four out of five players are female. 62% of the cyber gamers are under 45 years old and 20% are between 18 to 24 years old. There’s no doubt that online bingo has claimed its place in society. Different applications and websites create their own gimmicks to attract more players to participate and play. Companies (big and small) invest their money on these sites and apps because of the traffic. This is one sure way to reach out to your audience. In this reason, websites and apps can sustain their online existence because of paid ads and sponsorship. The industry has been stable for so long. According to one CEO, they are so much alive, kicking, and ready to grow. The traditional bingo on halls may be behind but it is now reversing to online bingo which produces more revenue than before. Bingo has been enjoyed by people since they were acquainted with the gameplay. Though, online bingo may take different approaches and game formats to cater to players of different ages and compete with other creators, the game itself will remain alive in the years to come. Future generations will still be able to witness how fun and exciting the game is!